"The presence of God in our school, enables our children to grow daily in our faith and sets an overall tone at Holy Family of kindness and respect." A. We believe the teachings of Jesus Christ are the foundation of all that we are and all that we do. We strive to instill in our students the values and ethics rooted in the Gospel message. B. We believe our school is a faith-based community that follows the Gospel message of Jesus, joins together in prayer, and responds to the needs of our brothers and sisters through a lifelong commitment to service. C. We believe students are whole persons from diverse backgrounds, with unique gifts and talents that should be fostered in our classrooms and shared in our communities. D. We believe meaningful education occurs when students participate in the learning process through a rigorous practice of inquiry, critical thinking, creativity, productive communication, and collaboration with peers. E. We believe effective instruction requires ongoing assessment of student performance, a variety of teaching methods to meet student needs, and incorporation of technology to teach 21st century skills. 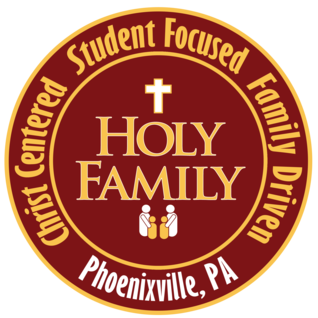 F. We believe in a learning community that promotes an active relationship with our school and parish families, enabling our students to develop into intellectually mature, morally responsible citizens. G. We believe a safe, orderly, and respectful classroom led by teachers who are striving for continuous improvement is necessary for a quality Catholic education.